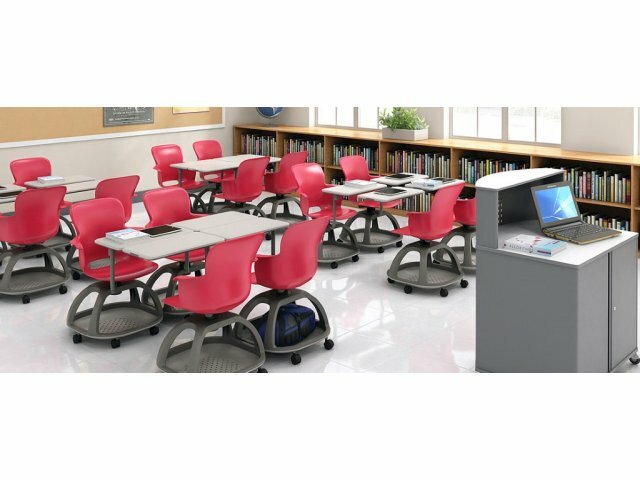 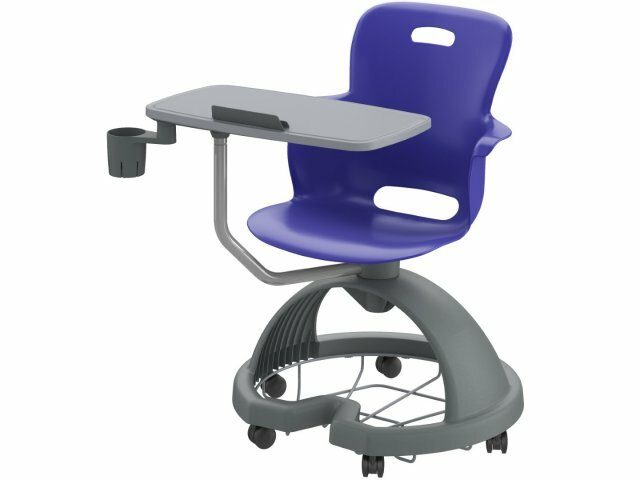 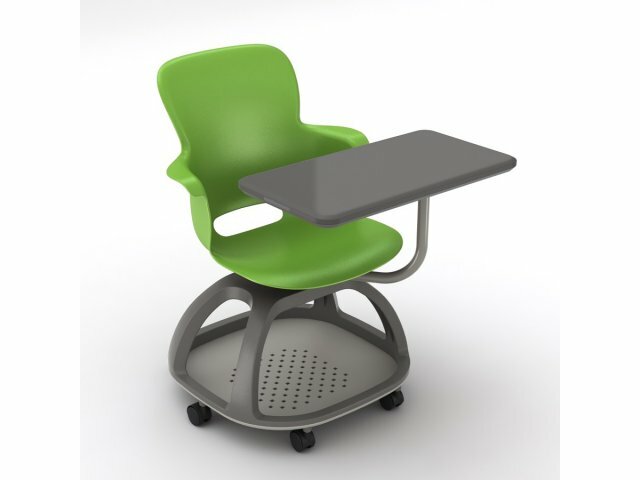 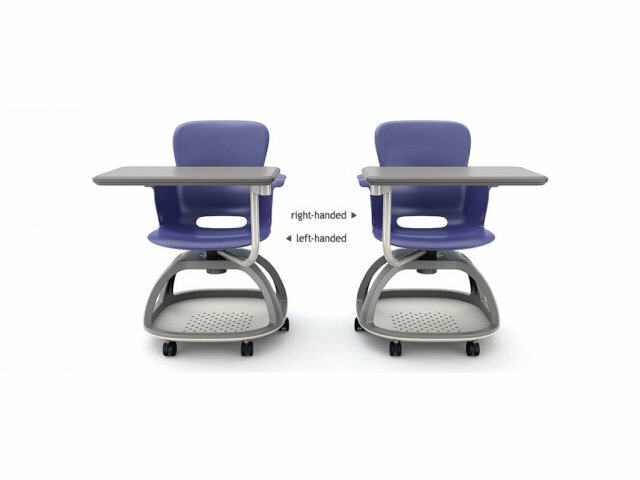 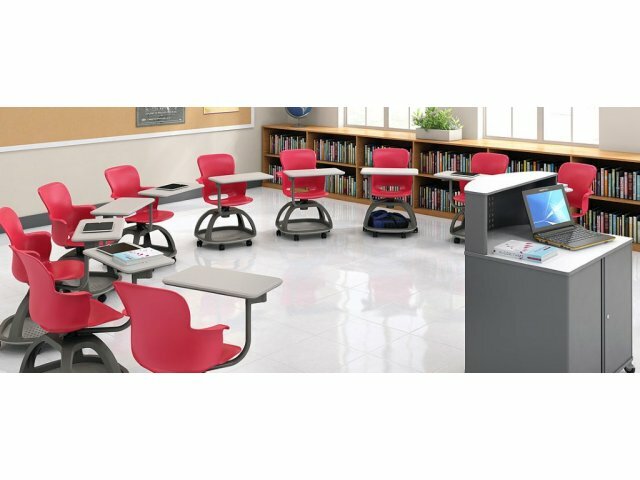 Whether students are right or left handed, this student chair desk allows comfortable writing. 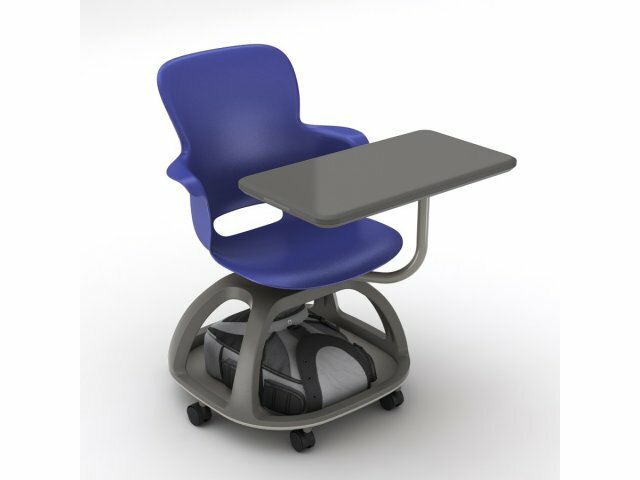 A convenient push-and-release cup holder within the worksurface keeps a drink handy. 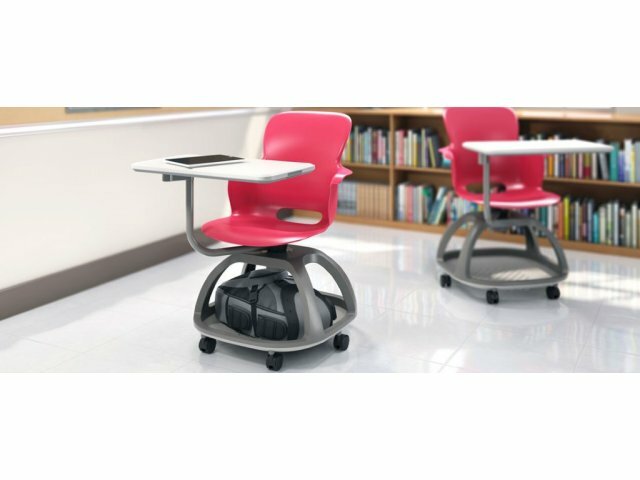 The quad base provides accessible backpack storage, so students won’t have to worry about tripping hazards. 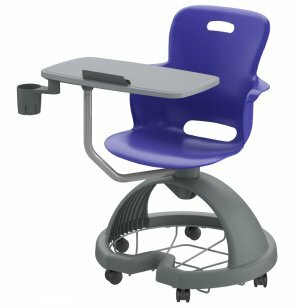 Convenient: Optional cup and bottle holder swings in and out from underneath the work surface, and can also be used to support a pencil or marker holder.